Dr. Ahmed Bin Ali, SVP, Corporate Communications, Etisalat Group, highlighted the focus this year at the GITEX Technology Week, 'Driving the Digital Future to Empower Societies', built on a vision to provide futuristic solutions and services that will have a fundamental impact on people's lives. The 'Future of Mobility' was one of Etisalat's key focus areas this year as traditional mobility ecosystems are getting diversified with various technological and social forces making an impact and bringing in a radical change in our way of life. This includes the emergence of connected and autonomous vehicles, which will have a profound impact on the way people interact in their daily lives. The UAE leadership wants 25 percent of all transportation in the country to be autonomous by 2030 - and according to Dr. Bin Ali, Etisalat will be a key enabler in helping the government execute its ambitious objectives. In an exclusive interview, Dr. Bin Ali also disclosed the operator's plans for 5G rollout next year. Can you tell us about some of the groundbreaking solutions Etisalat is showcasing here at GITEX? Etisalat also has a special showcase on the future of mobility, which is the best use case for 5G. The arrival of 5G technology will allow faster data transmissions and will prove to be game changing for the autonomous industry. The flying car 'Pop.Up Next' is for the first time making its presence outside Europe. It is the first fully electric and zero-emission modular system bringing together road mobility and air transport. It combines the flexibility of a small two seater ground vehicle with the freedom and speed of a vertical take-off and landing (VTOL) air vehicle, thus bridging the automotive and aerospace domains. Our innovations are designed to encompass all the elements related to people's everyday lives. Education is very important for developing the next generation of technology leaders here in the UAE. We have developed several solutions to enable our children and students to have a very interactive education that is delivered in a smart way. This allows them to receive information in a more efficient way that will help them learn faster. In addition to this, we also unveiled 'RoboPharmacy', a showcase of an unmanned, futuristic pharmacy system. It will be the first hands-on experience of Etisalat's 5G technology believed to change people's lives. It uses the 5G connection between the hospital, pharmacy, and capturing the data to provide convenience to the customer through virtual futuristic technologies. With regards to autonomous transportation, we all know that 5G will be the key enabler in facilitating and delivering this vision. The transportation sector is going to be radically disrupted by the acceleration of autonomous driving globally. 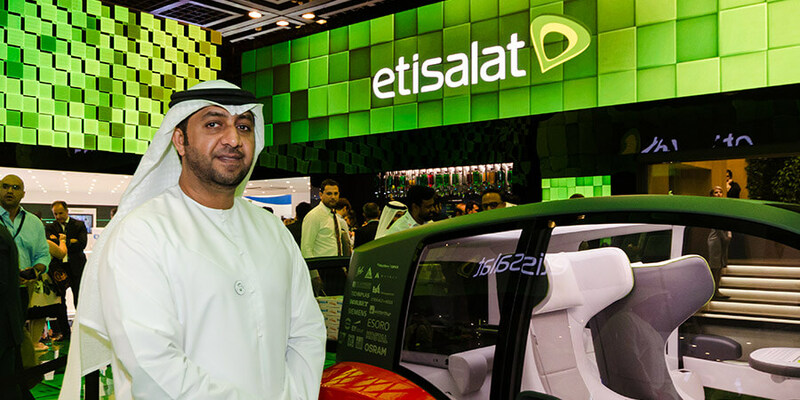 As a pioneer in 5G technology, Etisalat is going to be a major player in shaping the future of mobility in the UAE. Lastly, our strategic vision and goal is to lead the digital future in the UAE, and we're firmly focusing most of our efforts on the continued development of 5G. We started this journey with 5G back in 2014 and have achieved phenomenal results thus far by breaking global speeds with our testing. Etisalat will always be a leader in 5G. In your expert opinion, what is that differentiates Etisalat from its competitors? Etisalat is the overall market leader in the telecommunications space in the region. However, we're not just a mobile operator or a service provider; we're a company that provides universal ICT solutions and services. Our experience, knowledge and expertise have undoubtedly strengthened our position in the market, and we are now a leader in providing smart digital solutions for enterprises and all of our customers. We've reinforced our innovative leadership through the commercial launch of our 5G services. Expo 2020 Dubai is the first commercial customer of 5G in the UAE and will be a key driver for them in helping them achieve their objective which is to make the Expo 2020 Dubai site the most connected place on earth. 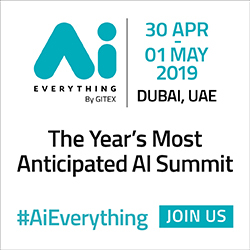 Can you outline the role Etisalat is going to play in facilitating the UAE government's objective which is to make 25 percent of all its transportation autonomous by 2030? 5G will play a key role in autonomous transportation with the need for high speeds and connectivity. 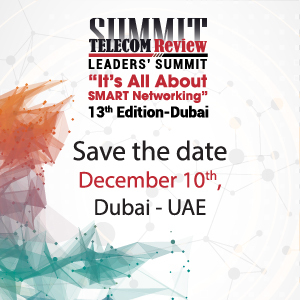 The next generation network will be a key enabler in terms of delivering and executing the vision set out by the leadership in the UAE. We have invested a significant amount in our digital infrastructure which has been accelerated through the introduction of our digital arm Etisalat Digital. It has helped us assert a strong foothold in the digital services marketplace, and what we have provided so far will continue to enable all members of society to enjoy living in a smarter more intelligent world. Etisalat is a pioneer in the development of 5G. When do you think you'll be in a position to commercially deploy 5G? We have launched 5G in the UAE in May with a limited number of sites in Dubai and Abu Dhabi, and now in collaboration with telecom vendors worldwide to have 600 base stations before the end of 2019. This will give coverage to all the main cities in the UAE. We are now pushing the mobile handset makers to speed up their side of production to ensure the 5G service is well used. Etisalat anticipates that customers will have access to 5G internet speeds in homes and on mobile devices by September next year. Expo 2020 Dubai was the first 5G major commercial customer in MEASA to access 5G services. How important is GITEX for Etisalat, and what differentiates the event from other conferences? GITEX is a platform that really encourages all exhibitors to demonstrate and display their latest cutting-edge innovations and solutions - as the conference is undoubtedly the leading ICT industry-event in the Middle East region. The event attracts major technology players on a global scale. A theme that is prevalent throughout GITEX is how both the public and private sectors have embraced technology that has been inspired by the leadership of the UAE to create digital smart solutions aimed at transforming industries and society. This type of innovation has given encouragement to everybody, to operators, vendors and government entities. Can you tell us what your primary objectives and goals are for 2019? Our aim over the next 12 months is to continue our strategy in relation to innovations and 5G. This strategic blueprint will help us maintain our position as the leader in the digital future in the UAE. We have achieved many major milestones in the past few years and aim to continue that creativity and innovation in the future. Our primary objective is to provide our customers with new solutions and concepts that enables' them to transform their business models in order to create new experiences for their customers.